Dr. Harry has been widely recognized and cited in many publications as the principal architect of Six Sigma and the world's leading authority within this field. His book entitled Six Sigma: The Breakthrough Management Strategy Revolutionizing the World's Top Corporations has been on the "best seller list" of the Wall Street Journal, Business Week, and Amazon.com. He has consulted many of the world’s top CEOs and has been a featured guest on such television programs as the NBC show "Power Lunch". In addition, he has been distinguished by Arizona State University with the 2002 Engineering Excellence Award for superb achievements in the engineering profession and notable contributions to society. At the present time, Dr. Harry is President and COB of the Six Sigma Management Institute. As founder of the Six Sigma Academy in 1994, he served as a board member and chief executive officer. In addition, he has served on the Board-of-Directors for the International Statistics Application Institute and the International Design Institute, Singapore. 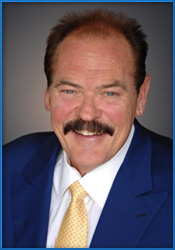 Dr. Harry was employed by Asea Brown Boveri and served as Corporate Vice President, Quality Systems Deployment. As such, he was directly responsible for the global leadership, implementation, and deployment of Six Sigma at ABB. His activity was focused on the creation of world-class levels of improvement in product quality, performance, producibility, and cost. Before this, Dr. Harry founded Motorola's Six Sigma Research Institute and served as Corporate Director and Senior Member of Technical Staff. In this position, he was responsible for the development of Six Sigma implementation strategy, deployment guidelines, and advanced application tools. For his technical leadership, Dr. Harry was appointed as an associate member of Motorola's prestigious Science Advisory Board (SABA). In recognition of his technical contributions, he was inducted into the Scientific and Technical Society at Motorola's Government Electronics Group. As one of the original architects and pioneers of Six Sigma at Motorola, he was responsible for the research and development of advanced Six Sigma engineering models and methods. While serving the Motorola Government Electronics Group, Dr. Harry also held the positions of Member of Technical Staff, Group Operations. Before this, he held the position of Manager and Principal Staff Engineer, Advanced Quantitative Research Laboratory. He also served as a Quality and Reliability Engineer when he first joined Motorola. Before joining Motorola, Dr. Harry was a consultant to several Fortune 500 corporations in the areas of statistical engineering, experiment design, statistical process control, and quality management. His industrial experiences also include manufacturing management at General Motors Corporation and industrial engineering with Dayton Walther Corporation. Dr. Harry has also served as an instructor within the College of Engineering and Applied Sciences, Division of Technology, Arizona State University. In addition, he was a member of the ASU/IBM Joint Engineering Study. Prior to beginning his professional career, he was commissioned into the U.S. Marine Corps as a Second Lieutenant. His tour of duty included serving as an infantry platoon leader and later as an executive officer and company commander. He was also certified as a nuclear-biological-chemical warfare officer and was honorably discharged with the rank of Captain. Significant professional contributions include creation of the Six Sigma Breakthrough Strategy and the Six Sigma Black Belt concept. In addition, Dr. Harry authored the first substantive publication on Six Sigma. This book was designed to articulate the philosophy, theory, and application of Motorola’s Six Sigma Program and was published under the title “The Nature of Six Sigma Quality." In addition, Dr. Harry was responsible for the research and development of an advanced mechanical design engineering tolerancing system, for which he received a major engineering award from Motorola. The design algorithms have since been translated to functional engineering software. This work was published by Motorola, Inc. under the title “Six Sigma Mechanical Design Tolerancing." Another major contribution was the research and development of an RF/Microwave design analysis and optimization procedure. This work was published by Motorola University Press and used by Motorola, Texas Instruments and other noted corporations. Dr. Harry was directly responsible for the research and development of a process characterization methodology, as well as the supporting mathematical statistics. This work was published by Addison-Wesley under the title “Six Sigma Producibility Analysis and Process Characterization." Dr. Harry has over 50 major publications to his credit. His work has appeared in such journals as Quality Progress, IEEE Micro and Circuit World, Journal of Circuit Technology. In addition, he has authored a substantial reference book on the application of experiment design, inferential statistics, and statistical process control. The book is entitled “Achieving Quality Excellence: The Strategy, Tactics and Tools”. Most recently, Dr. Harry has published an eight volume set of books entitled The Six Sigma Series. This extensive work presents the implementation guidelines, deployment strategy and application tools related to Six Sigma. Supporting this series and furthering the power of quality, he published a unified set of articles in Quality Progress entitled New Frontiers. His work is actively used and promoted by such noted institutions as General Electric, Ford Motor Company, Sony, Allied Signal, Stanford University, Motorola, Texas Instruments, Unisys, IBM, Rockwell, Kodak, and the Department of Defense, as well as many others. He is a contributing author to a textbook on the application of SPC methods and experiment design in automated manufacturing, Marcel Decker. In addition, he is a contributing author to a textbook used by the Mathematics Department, U.S. Air Force Academy. He has served as chairman of the Product Design Sub-committee for Producibility Metrics, United States Navy. In addition, he was technical co-chairman of the SPC standards committee for the Interconnecting and Packaging Electronics Circuits Institute (IPC). He received the President’s Award from IPC at the 1990 Annual Conference for outstanding technical contribution to the industry. In 1993, Dr. Harry was inducted into the "Who's Who" Registry of Global Business Leaders. He is an active international speaker, seminar leader, and holds numerous technical and management instructor certifications. Dr. Harry has personally trained and worked with such Chief Executive Officers as Jack Welch (General Electric), Jac Nassar (Ford Motor Company) and Larry Bossidy (Allied Signal), as well as their senior executive teams and technical/scientific communities. In addition, Dr. Harry has worked with several distinguished professional societies around the world. He has personally trained thousands of leaders and practitioners around the globe. He is frequently retained as a keynote speaker and presenter for industry symposiums and prestigious functions such as the Young President's Organization (YPO). Dr. Harry has also been featured in several documentaries and was the subject of a feature article in "Personal Success" magazine, Quality Progress magazine and the international magazine: The Globe and Mail Report on Business.